The taste of the Mediterranean. 1987. Ferran Adrià, a chef on his own. The beginning of January 1987 saw a significant circumstance: Christian Lutaud was to leave elBulli to open a restaurant in Jávea (Alicante). At the same time, Ferran was beginning to see that cooking fascinated him more and more, and he was becoming much more committed to his profession. This new situation changed things considerably. As this was the first time he was in charge of the kitchen on his own, he began to map out his own route in complete freedom. 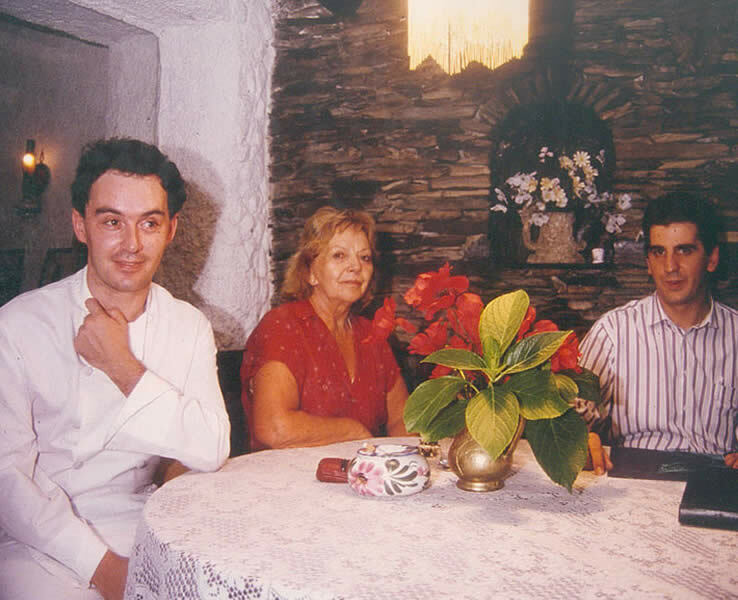 Ferran, Marketta and Juli at the restaurant.